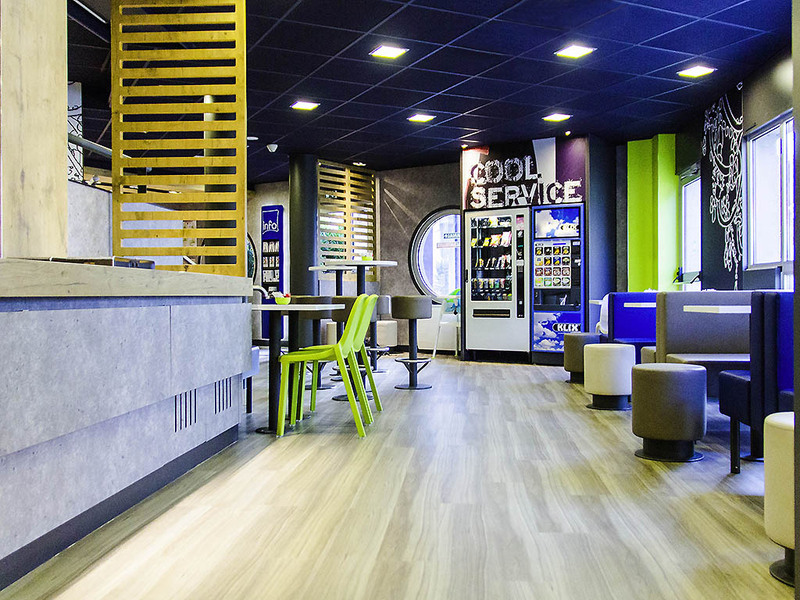 Welcome to the ibis Budget Angoulême Centre hotel! Economical hotel for business trips or leisure - enjoy our central location to discover our beautiful city rich with its historical and artistic heritage. Very soon!!! Right in the heart of Angoulême, the ibis budget Angoulême Centre-Ville hotel (formerly Etap Hotel) offers direct access to the old town and its restaurants and ramparts. Accessible on foot from the station; visit the nearby Musée de la BD or Champ de Mar s shopping center. Economy rooms for 1, 2 or 3 people at great prices and with free WIFI. Parking available on reservation. Secure public parking 150 metres from the hotel (1 euro a night).